If you’re looking for a new birding mode, consider checking out the variety of Birding Trails threading across North America. Most states promote at least one birding trail, and each birding trail features a diversity of birding sites connected by bird-rich drives. Stretching along highways and backroads, birding trails offer birders and eco-tourists grand opportunities to explore diverse habitats near home and in distant places — state by state. DES MOINES, IOWA (April 17, 2019) — Today, the Iowa Democratic Party recognized Teamsters Local 238 as the official bargaining-representative for its organizing staff. DES MOINES, IOWA (April 16, 2019) — Governor Kim Reynolds issued a disaster proclamation today for Muscatine County in response to severe weather, flooding, and flash-flooding beginning March 13 and continuing. 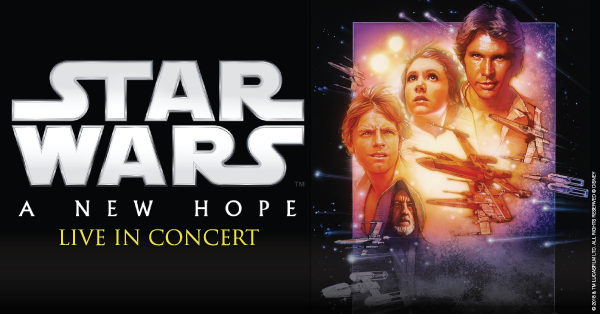 DAVENPORT, IOWA (April 16, 2019) — Experience the scope and grandeur of the beloved film "Star Wars: A New Hope"™ in its entirety with Oscar®-winning composer John Williams’ musical score performed live by the QCSO! BETTENDORF, IOWA (April 16, 2019) — On Saturday, April 27, 6:30–10PM, the Family Museum will host “Night at the Museum,” an exclusive, one-night fundraising event for adults featuring food and drinks, composed and prepared by local chefs and businesses. Guests will embark on a scavenger hunt to explore everything that the Museum has to offer. DES MOINES, IOWA (April 16, 2019) — Iowa Governor Kim Reynolds, Secretary of Agriculture Mike Naig, Acting Director of the Iowa Department of Natural Resources Bruce Trautman, and Director of the Iowa Department of Transportation Mark Lowe submitted comments to the US Environmental Protection Agency today. The letter voiced support for the EPA’s proposed changes to the definition of “Waters of the United States” (WOTUS). ROCK ISLAND, ILLINOIS (April 16, 2019) — Members of the Quad City Botanical Center are invited to our annual Egg Hunt this Saturday, April 20, 8-10 AM. Bring your basket to fill with goodies and enjoy the outdoor hunt. Four groups will gather for the 9AM hunt sorted by age: 0-2, 3-4, 5-7 and 8-12. Crafts and games are included as our way of saying thank you for being a member of the Botanical Center.